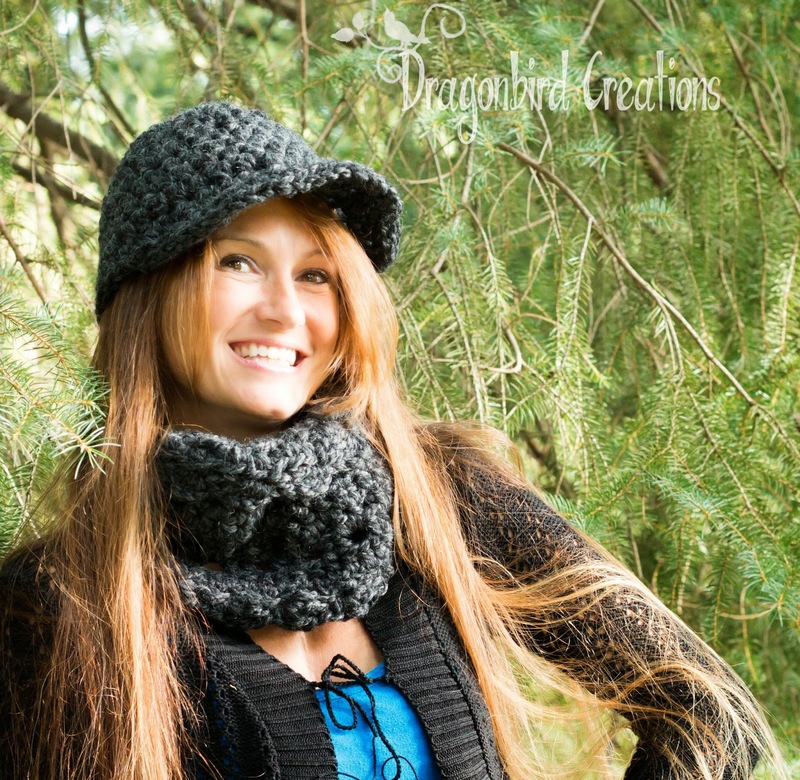 Dragonbird Creations: Adventures in Crafts: Artist Blog Hop! I do what I do because it brings me joy. I love to make something out of nothing. There is a great satisfaction that comes with turning a ball of yarn into a work of art-and if the art is wearable it is even more fun for me! I began on my crochet journey when my daughter was incubating inside and I decided that since I'd be a mommy to a girl I HAD to know something like crochet and so I learned how. My grandma did most of the teaching me the basics and I have been self teaching ever since. I love to be my own unique individual. I never leave the house without something adorning my head. Flowers all year long, spiders and rats in October, flags in July, Turkeys in November and lots of fun stuff in December. I'm also a stay at home mom, and now that my kiddos are getting older I really need constructive things to pass the time, sometimes earning just a little but of extra money. How can one ever be bored when they can make stuff out of yarn??!!! I've enjoyed donating items throughout the years here and there to various charities and fund raisers. My work differs from others work in that I try to make every item I make it's own unique individual. There is something special about being able to say, "This is the only one in the whole wide world like it!" I think if you are trying to exactly replicate something you see it ceases to be art. It is the art side of crochet that I truly love, which is why I enjoy making my own patterns. I also remember being a slave to a pattern so I try to put free patterns out there as well as some that have a price. My creative process is fairly simple. If I see something I like I think, "how can I make it better?" My mind might whirl around for a bit but then the wonderful things that come flying off my hook (or needles) are so worth the swirling mental crisis I sometimes find myself in. Sometimes I'll just randomly think of something to make while doing daily chores-especially cooking. I hate cooking. I actually hate eating. Unless it is chocolate. MMMmmm chocolate. Currently I am working on Dada Neon Crochet's awesome CAL (link at the top of the page) and am working on finalizing two patterns. 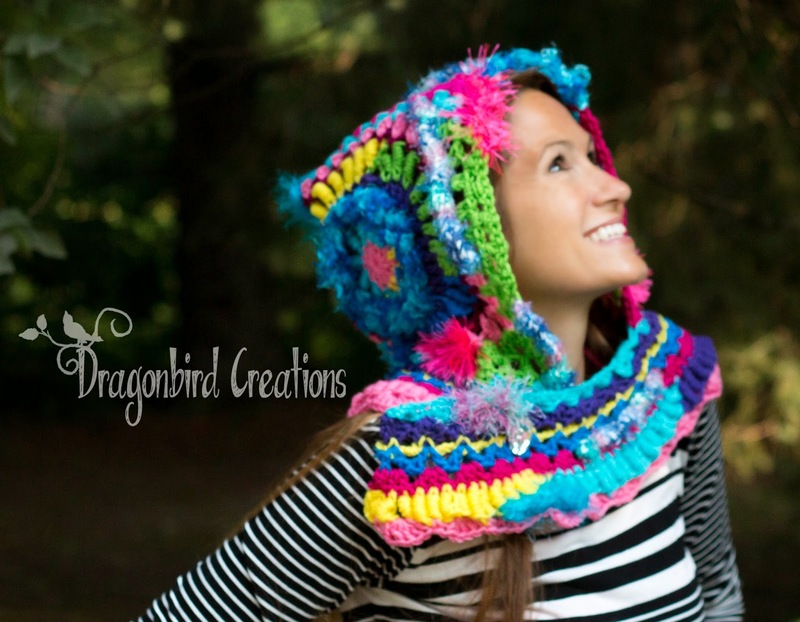 I just published my latest pattern Faux Freeform Hood . This one I am really proud of, I had some amazing people test it for me, and each one of their creations is completely unique. That is precisely what I was going for when I created the pattern. 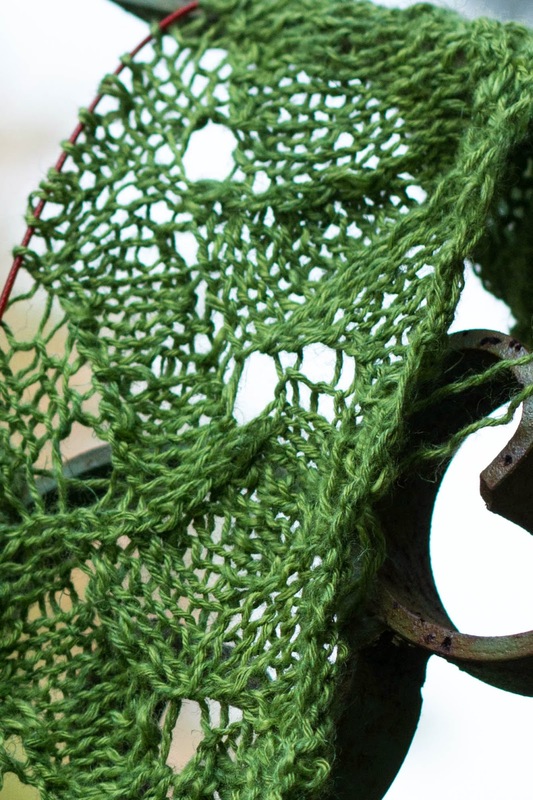 You can see different projects there on the pattern page if you click the link. FUN!